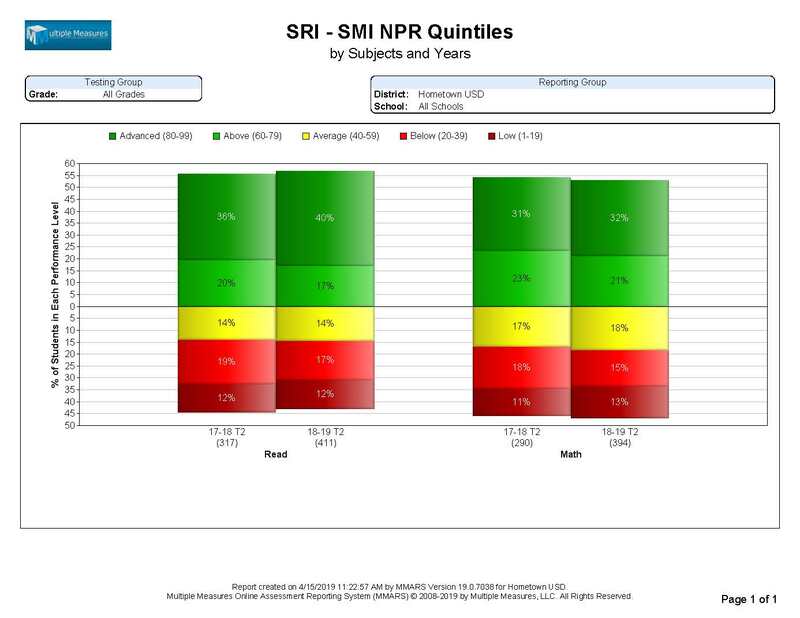 This report compares the National Percentile Rank (NPR) Quintiles for a given set of students tested, across multiple years. This report compares the Performance Levels of a given set of students across multiple years, with an anchor in a desired Term. 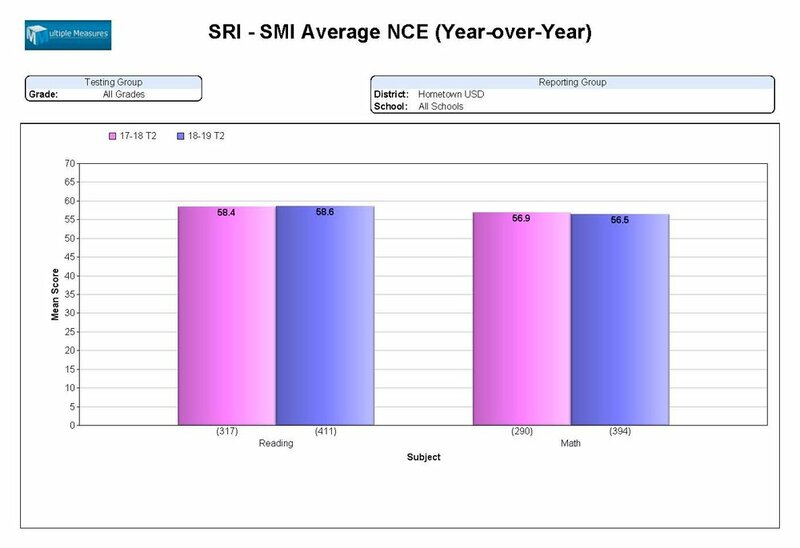 For example, this report compares the performance of 2018’s second term with 2019’s second term. 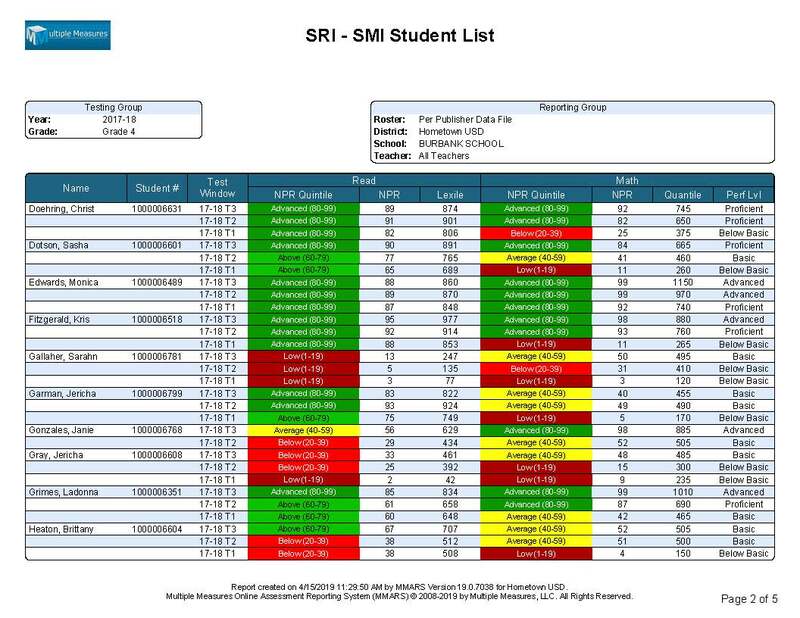 Note that it is only an SMI report, so it only reports Math scores. 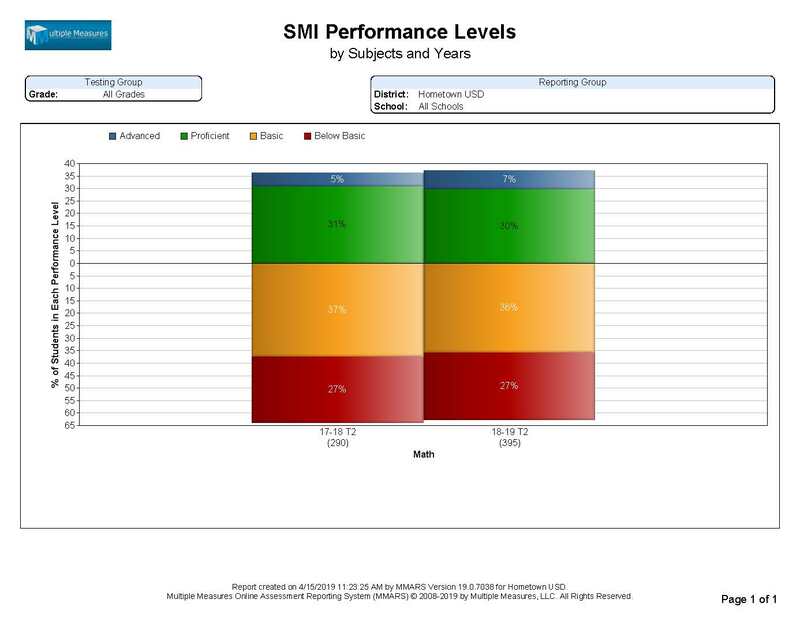 This report compares the change in Fractional Performance Level™, for a given set of students, across multiple years. Measures fractional changes “between the bands”. 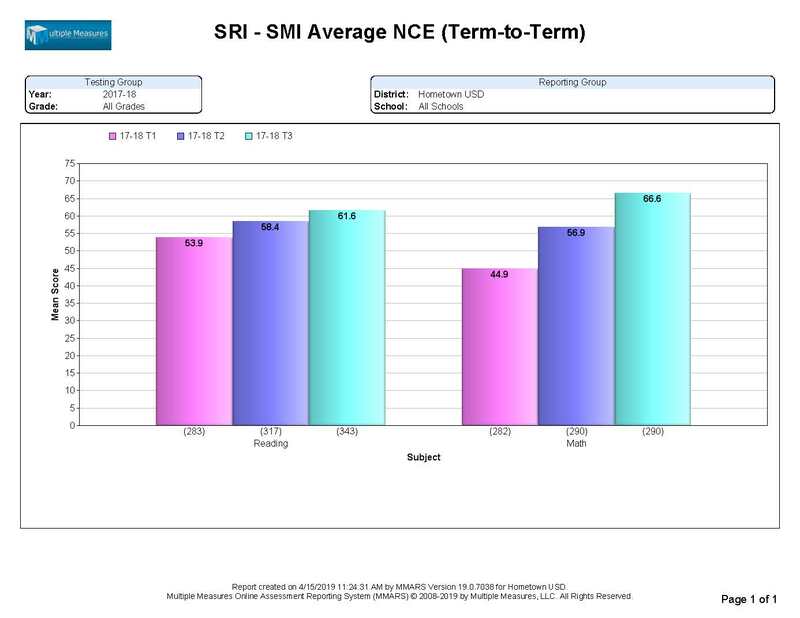 This report compares the Average Normal Curve Equivalent (NCE) for any given set of students, across multiple Terms. The Normal Curve Equivalent (NCE) is a norm-referenced score that is similar to percentile rank, but based off of an equal interval scale. 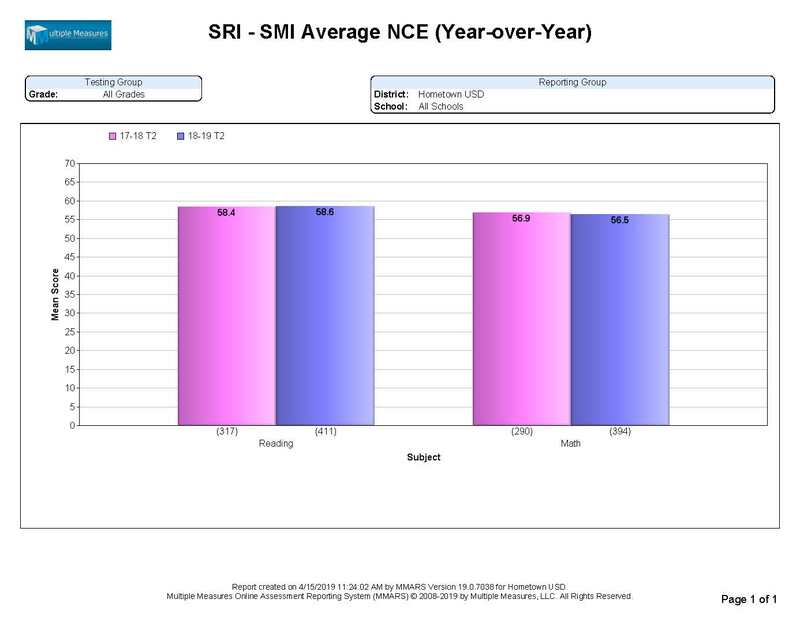 This report compares the Average Normal Curve Equivalent (NCE) for any given set of students, across multiple Years. The Normal Curve Equivalent (NCE) is a norm-referenced score that is similar to percentile rank, but based off of an equal interval scale. 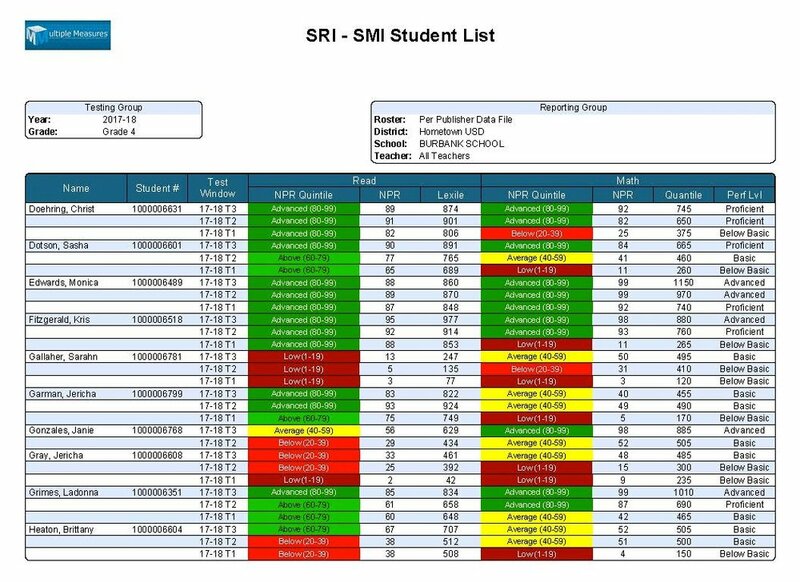 This report lists multiple years of NPR Quintile, NPR, and Lexile scores for Reading, along with NPR Quintile, NPR, Quantile, and Performance Level Scores for Math. The report pictured in the example is available for all of the students at a given school, in a given grade or in a specific classroom.